Use: College / University Facility Project Key Personnel: Dan Coyer, R.P.L.S. 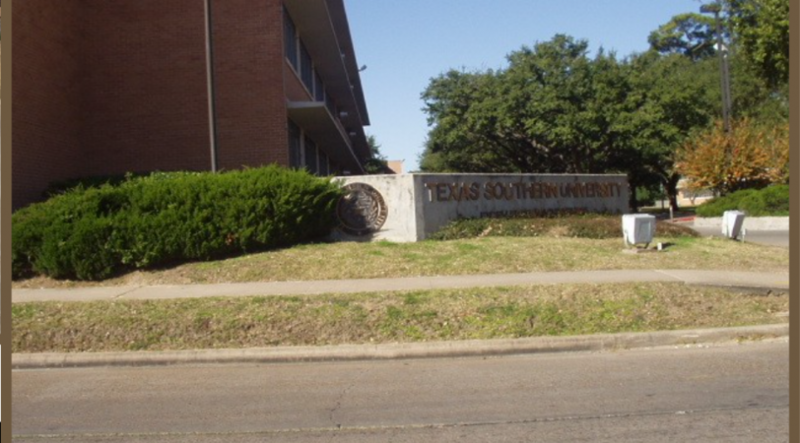 Owner Information: Texas Southern University; Dr. John M. Rudley, 713-313- 7044 Scope of Work: TSC Surveying performed professional land surveying at various locations on the Texas Southern University campus, including Design Surveys and Topographic Surveys, Utility Research and Coordination, and Preparation of Topographic Survey Plan Views. TSC’s deliverable to the university a survey map for each location, graphic les, an ASCII TBM list and X, Y and Z ASCII point le of all points, copies of the eld notes and a computer printout of the point le. This data was passed to the engineer for use in the design of future parking lots.